A landmark design statement, Duleek brings out-of-this-world possibilities to the table. Just imagine pulling up a stool to this island, with its exemplary curves in Brown Santana. White gloss wall cabinets, with a fusion of curved and straight lines provide the perfect backdrop for both well-groomed entertaining and day-to-day living. 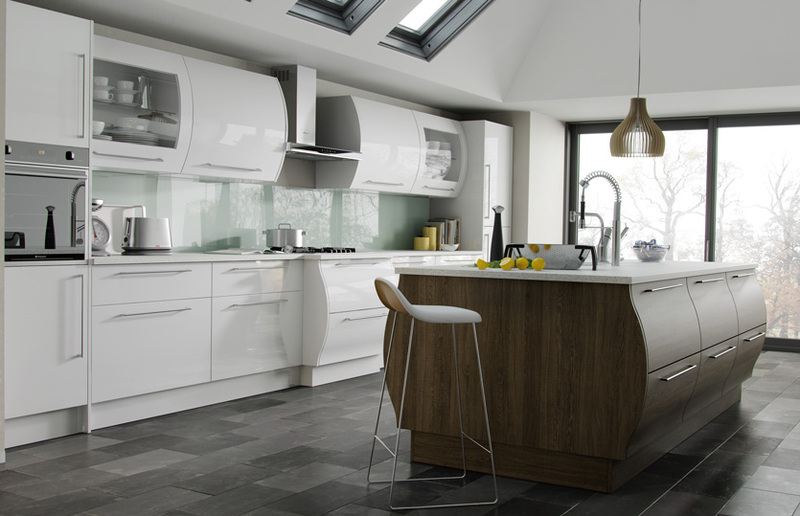 Click the button to request a free large sample swatch of High Gloss White and Brown Santana. 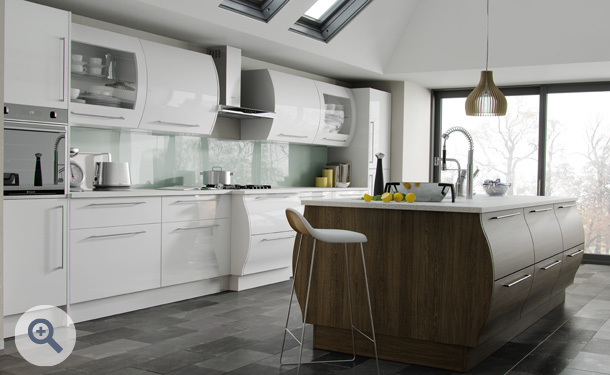 Click the button to purchase a Sample Premier Duleek design door in the High Gloss White and Brown Santana finish.